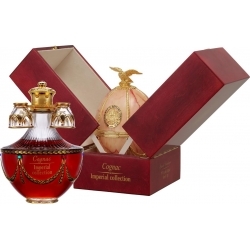 This cognac is distinguished by its golden and coppery color, with amber and shiny reflections. 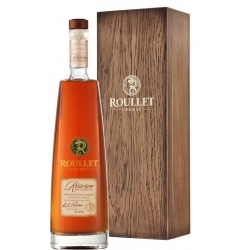 Aged for more than 16 years in Limousin oak barrels, this cognac reveals flowery aromas of rose, vanilla spice, dried fruit, almond and orange zest. Its mouth is round with a softness brought by melted tannins. 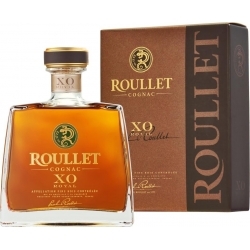 Cognac Roullet XO Royal Fins bois : An elegant cognac eau-de-vie, aged for about 15 years in Limousin oak barrels. 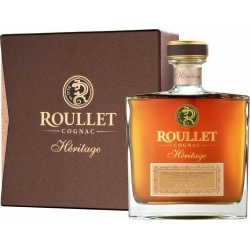 Cognac Roullet Héritage Fins Bois : Aged for 23-36 years! Cognac Roullet Héritage Grande Champagne : Aged for about 23 years in Limousin oak barrels! 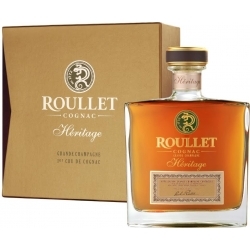 Collection Impériale Grande Champagne 1er Cru Hors d'Age - Our Cellar Master selected the eau-de-vie de cognac of the best cru for the real imperial collection creation. He chose the rarity of 1975 from Goulet «paradis» that had reached its height. 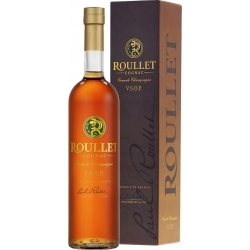 Cognac Roullet VSOP Grande Champagne : This cognac has a deep golden color with amber shades. 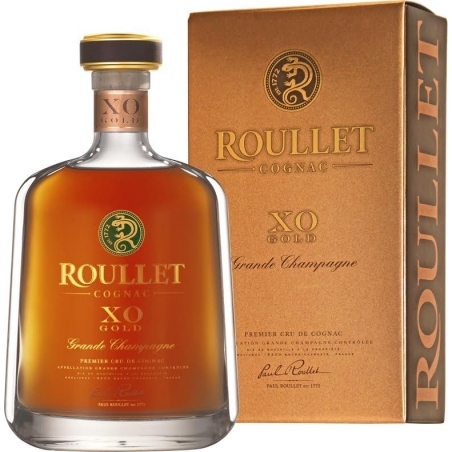 A complex bouquet with aromas of citrus, peach, sandal wood and light leather notes. The taste is round and well-balanced with silk tannins.